Nike is giving the Air VaporMax Flyknit 2.0 more than just a splash of color. Tipped with the ”What The” style look, the new “Random” colorway’s upper is a concoction of “Volt Yellow” and “Hot Pink” on the left foot and “Deep Burgundy” and “Sporty Blue” on the right. In the midst of the vivid chaos, however, is a sense of consistency with midfoot Swooshes in pink and grey heel cages. 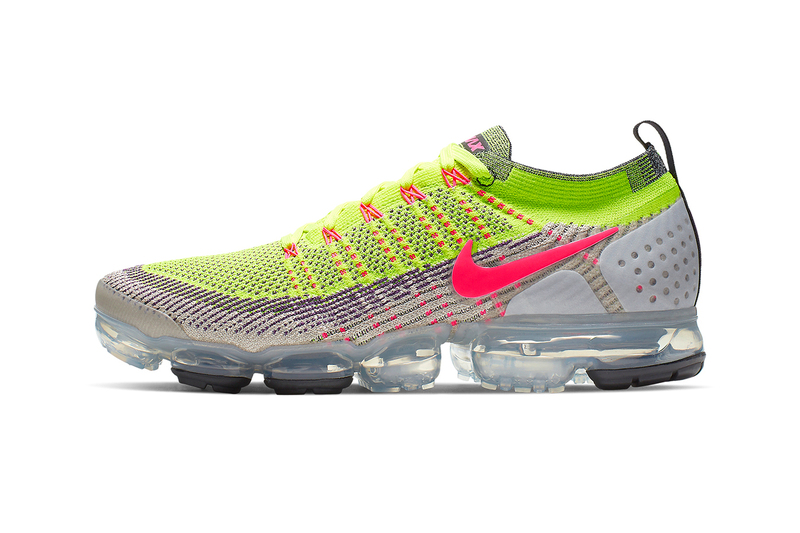 The multicolor look lays on top of a translucent VaporMax bubble sole, making sure all eyes stay on the motley pair. The Nike Air VaporMax Flyknit 2.0 “Random” is priced at $200 USD and currently available on nike.com via the sneaker giant’s members program. In other Nike news, the Kyrie 5 is celebrating March Madness with its “Duke” colorway. J.I.D Shares 'The Long Goodbye'-Inspired Video for "Off Da Zoinkys"
New sounds and sights from the West.